When rich people read The Hunger Games or Blackacre, do they smile and shake their head with recognition? Are they like, “yep, that’s how it’s going to be”? There’s a lot of class warfare in genre fiction these days, and it’s obvious why — just pick up a tablet and point your browser toward a newspaper’s Web site while it’s still in business. The middle class is winding down a pretty good run as CEOs hit new highs every quarter. 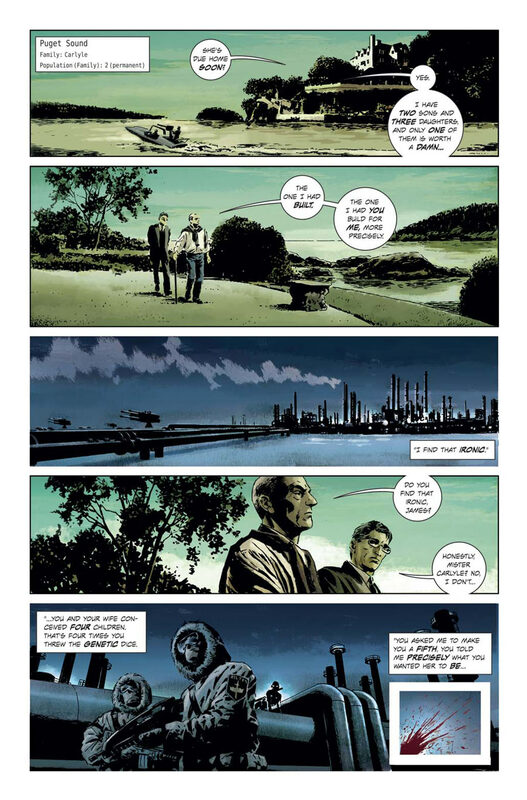 Lazarus is another look at a dystopian society where a privileged few control all resources and the mass of humanity exists solely to serve them. Unlike Hunger Games or Blackacre, though, it’s told from the POV of one of the oppressors. Lazarus is the type of high-concept sci-fi readymade for a looming movie or TV show. Here’s a world where small factions (called families) control all labor and food stores (these families really mind stealing bread from the mouths of decadence — it’s a capital offense). They’re protected by enforcers called Lazaruses (Lazari? ), who are really good at killing and just as good at not really dying. Kill ‘em and they come back, again and again, to watch over their family. 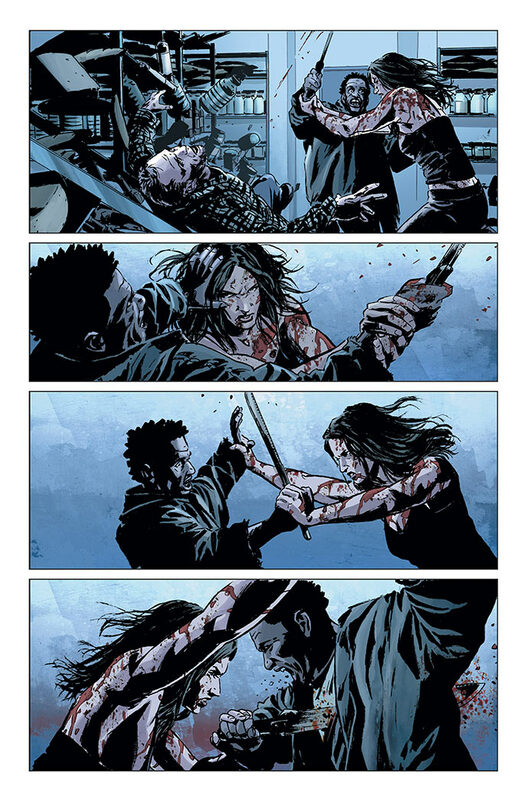 The Lazarus here is a beautiful woman named Forever (ugh) who’s uncomfortable with violence, but willing to do anything to protect her family’s interests, not realizing that her employers might just be using her. Greg Rucka immediately puts Forever in the same moral grey zone that the leads of most acclaimed cable dramas inhabit. So we’ve got a highly relevant class struggle, an attractive and morally conflicted badass woman, the early promise of betrayal from those she loves, and a science fiction hook that opens the door for reasonably justifiable violence. Lazarus should be on HBO, like, last week. 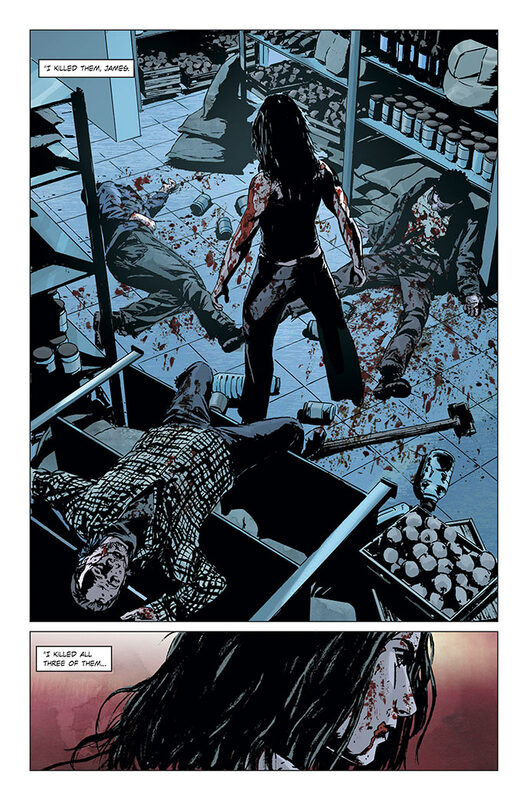 It’s premature to predict such multimedia success for Lazarus, but the first issue hints at a fine future. 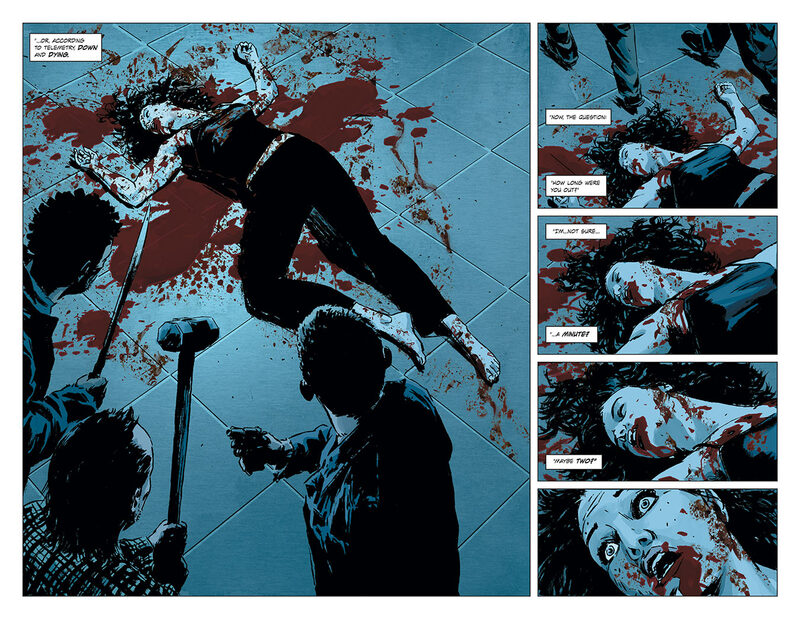 We can also put a lot of stock in the creators — Rucka and Michael Lark have excellent track records, both together and with other collaborators. Lark especially earns our respect with this first issue, producing some of his finest work yet. His big fight scene is exciting yet easy to follow, and Forever’s facial expressions are subtle yet demonstrative. 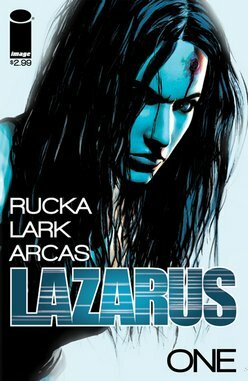 It wouldn’t be a surprise if Lark and Rucka’s consummate craft lift Lazarus above its familiar, almost prefab concept.